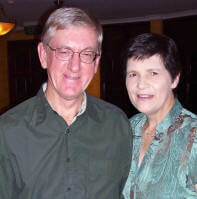 PASTOR VINCE GERHARDY graduated from Luther Seminary in Adelaide, South Australia, in 1974, and has served several congregations in Queensland and South Australia. He currently serves as Pastor of St. Paul’s Lutheran Church in Caboolture, Queensland, Australia. He has also served on various councils and committees of Lutheran schools and colleges as well as the Queensland District of the Lutheran Church of Australia. He and his wife, Miriam, have four children. Miriam teaches at Immanuel Lutheran College in Maroochydore.